This is a short but very concise introduction to Asian art. 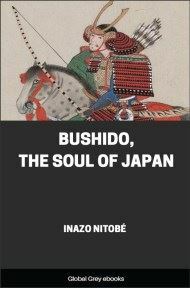 Written from a Japanese perspective, and focusing on Japanese art, one of the major themes is the relationship between spirituality, particularly Buddhism, and the evolution of Asian art. KAKUZO OKAKURA, the author of this work on Japanese Art Ideals--and the future author, as we hope, of a longer and completely illustrated book on the same subject--has been long known to his own people and to others as the foremost living authority on Oriental Archæology and Art. Although then young, he was made a member of the Imperial Art Commission which was sent out by the Japanese Government in the year 1886, to study the art history and movements of Europe and the United States. Far from being overwhelmed by this experience, Mr. Okakura only found his appreciation of Asiatic art deepened and intensified by his travels, and since that time he has made his influence felt increasingly in the direction of a strong re-nationalising of Japanese art in opposition to that pseudo-Europeanising tendency now so fashionable throughout the East. On his return from the West, the Government of Japan showed its appreciation of Mr. Okakura's services and convictions by making him Director of their New Art School at Ueno, Tokyo. But political changes brought fresh waves of so-called Europeanism to bear on the school, and in the year 1897 it was insisted that European methods should become increasingly prominent. Mr. Okakura now resigned. Six months later thirty-nine of the strongest young artists in Japan had grouped themselves about him, and they had opened the Nippon Bijitsuin, or Hall of Fine Arts, at Yanaka, in the suburbs of Tokyo, to which reference is made in chapter xiv. of this book. If we say that Mr. Okakura is in some sense the William Morris of his country, we may also be permitted to explain that the Nippon Bijitsuin is a sort of Japanese Merton Abbey. Here various decorative arts, such as lacquer and metalwork, bronze casting, and porcelain, are carried on, besides Japanese painting and sculpture. The members attempt to possess themselves of a deep sympathy and understanding of all that is best in the contemporary art movements of the West, at the same time that they aim at conserving and extending their national inspiration. They hold proudly that their work will compare favourably with any in the world. And their names include those of Hashimoto Gaho, Kanzan, Taikan, Sessei, Kozn, and others equally famous. Besides the work of the Nippon Bijitsuin, however, Mr. Okakura has found time to aid his Government in classifying the art treasures of Japan, and to visit and study the antiquities of China and India. With regard to the latter country, this is the first instance in modern times of the arrival of a traveller possessed of exhaustive Oriental culture, and Mr. Okakura's visit to the Caves of Ajanta marks a distinct era in Indian archæology. His acquaintance with the art of the same period in Southern China enabled him to see at once that the stone figures now remaining in the caves had been intended originally merely as the bone or foundation of the statues, all the life and movement of the portrayal having been left to be worked into a deep layer of plaster with which they were afterwards covered. A closer inspection of the carvings gives ample justification of this view, though ignorance, "the unconscious vandalism of mercenary Europe," has led to an unfortunate amount of "cleaning" and unintentional disfigurement, as was the case with our own English parish churches only too recently. Art can only be developed by nations that are in a state of freedom. It is at once indeed the great means and fruitage of that gladness of liberty which we call the sense of nationality. It is not, therefore, very surprising that India, divorced from spontaneity by a thousand years of oppression, should have lost her place in the world of the joy and the beauty of labour. But it is very reassuring to he told by a competent authority that here also once, as in religion during the era of Asoka, she evidently led the whole East, impressing her thought and taste upon the innumerable Chinese pilgrims who visited her universities and cave-temples, and by their means influencing the development of sculpture, painting, and architecture in China itself, and through China in Japan. Only those who are already deep in the problems peculiar to Indian archæology, however, will realise the striking value of Mr. Okakura's suggestions regarding the alleged influence of the Greeks on Indian sculpture. Representing, as he does, the great alternative art-lineage of the world--namely, the Chinese--Mr. Okakura is able to show the absurdity of the Hellenic theory. He points out that the actual affinities of the Indian development are largely Chinese, but that the reason of this is probably to be sought in the existence of a common early Asiatic art, which has left its uttermost ripple-marks alike on the shores of Hellas, the extreme west of Ireland, Etruria, Phœnicia, Egypt, India, and China. In such a theory, a fitting truce is called to all degrading disputes about priority, and Greece falls into her proper place, as but a province of that ancient Asia to which scholars have long been looking as the Asgard background of the great Norse sagas. At the same time, a new world is opened to future scholarship, in which a more synthetic method and outlook may correct many of the errors of the past.